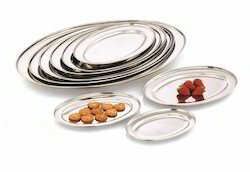 We are a prominent manufacturer, supplier and exporter of an exclusive collection of Serving Ware. These products are manufactured using optimum quality stainless steel, which is procured from trustworthy vendors of the market. Available in different sizes and shapes, these products are used in hotels, restaurants and homes. These products are known for their attributes like corrosion resistance, durability, excellent shine and elegant looks. The range offered by us comprises Butter Dishes and Milk Sugar Pots. 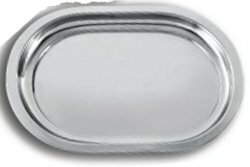 We are noted for supplying, manufacturing and exporting quality Capsule Tray. We purchase raw materials such as stainless steel from well known vendors. Our customers can buy these products directly from us at much lower price. We use various modern tools and contemporary techniques to manufacture these products. We are one of the leading exporters, suppliers and manufacturers of Steel Oval Fish Tray. These trays are available in various types of sizes. We use quality raw materials and modern techniques for manufacturing these items. Our clients can avail these trays directly from us at reasonable prices. 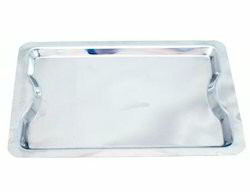 The Rectangle Serving Tray which we manufacture, supply and export are used in hotels, commercial kitchens and in homes. These trays are available in wide range of sizes. Our company use quality materials for manufacturing these trays. Our team of experts purchases the raw materials from certified vendor. 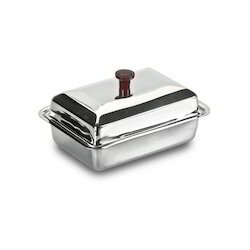 We are instrumental in offering an exclusive range of Butter Dish to the clients. These products are made using premium quality stainless steel and latest technology machines. We offer these products with their top in round shape and different sizes in the market. These products are manufactured in adherence with the global quality standards and norms. 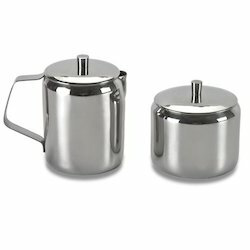 We are involved in providing a wide range of Milk and Sugar Pot to the clients. These products are manufactured using excellent quality stainless steel, which is sourced from recognized vendors of the market. Available in different sizes, designs and colours, these products are suitable to serve the tea or coffee in style. We offer these products at industry-leading prices in the market. 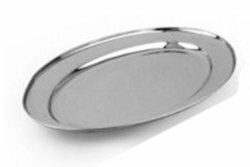 Looking for Serving Ware ?